Night Market is back! Philadelphia's favorite food truck festival has returned for its seventh year. The Food Trust works with community partners throughout the city to host the roving festival. Night Market will be hitting four locations in the Philadelphia this year, the next one coming up on July 1st. Enjoy live entertainment from local musicians, artists and be sure to bring your appetite! 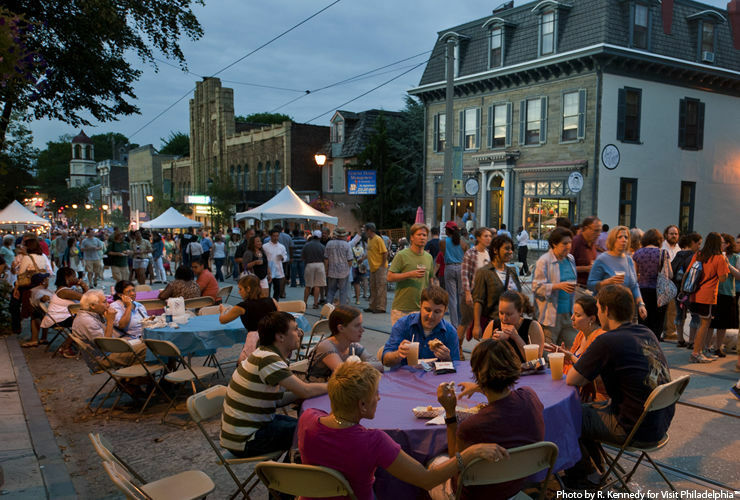 Night Market Philadelphia is the city’s premier street food festival, a roving food event spotlighting Philly’s best hangouts and cuisine. Inspired by Asia’s lively outdoor markets, Night Market events celebrate up-and-coming neighborhoods and showcase Philadelphia's diverse food and drinks and vibrant arts and culture scene. Check back for more information for future Night Markets!